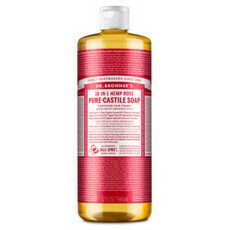 Dr Bronner's liquid Castile Soap in Sandalwood and Jasmine provides a lovely fresh woody scent. Sandalwood is known for its anti-inflammatory and disinfectant properties, making it a great choice for a sparkling home, and a revitalised body. 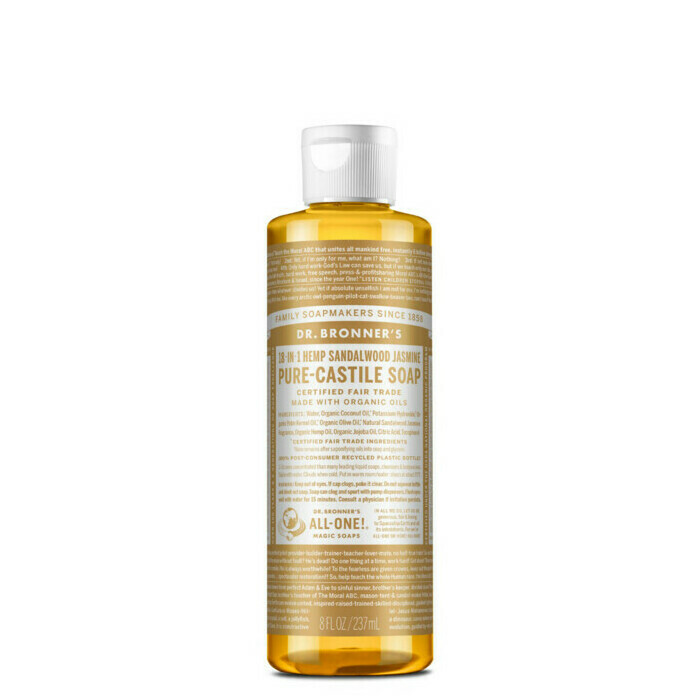 Based on the traditional Castile formulation, it cleanses without stripping the skin of its natural oils. 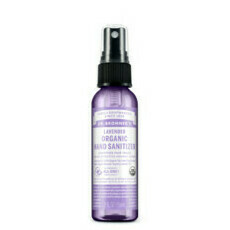 Ingredients include Hemp Oil and Coconut Oil, and it is suitable for all skin types. 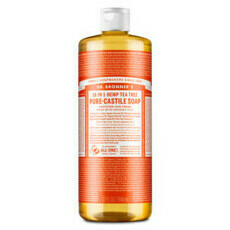 It has 18 different uses, which include cleansing your body and hair. Please see the USE Tab for the dilution recipes. 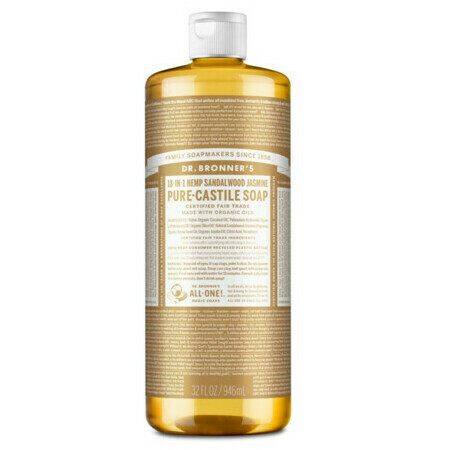 Coconut Oil, Jasmine Extract, Jojoba Oil, Olive Oil, Sandalwood. You can't go wrong with Dr Bronners, and this is by far my all time favourite scent! I usually water it down a bit as it's really concentrated. There's no other soap I would buy! Love this, the big bottle lasts for ages. Foams well, like it for a few different uses.